There's nothing wrong with simple. 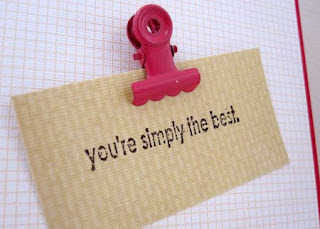 In fact, I think that sometimes simple sends the message across the loudest. Perhaps that's why I love this card so much. I've resisted from signing up on Twitter for so long but today Provocraft was on twitter giving away a Cricut Cake. I had to get a twitter account to get a chance to win. Ta-da! 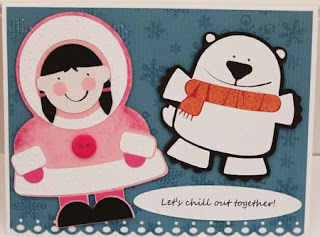 Here are the Lettering Delights' Eskimo Girl and Polar Bear! It's pretty neat holding the cutouts in my hands. I almost feel like the 2 images came alive. 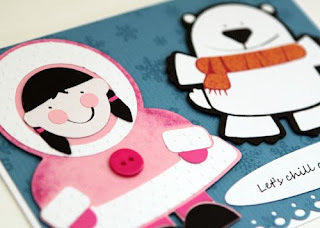 I MTCed an Eskimo Girl! 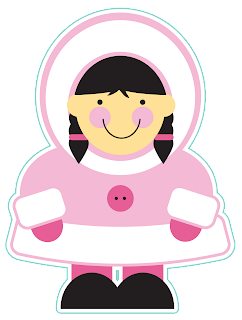 So having just managed to MTC the polar bear from Lettering Delights' , I decided that I would do the Eskimo Girl from their Eskimo Kisses file next. 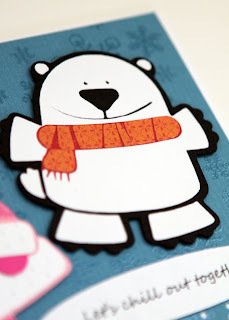 So I bought a couple of files from Lettering Delights and I really liked this polar bear from their Chill Out font. I got the grand idea that I would cut the image out with MTC but it was a lot more complicated than I thought it would be. 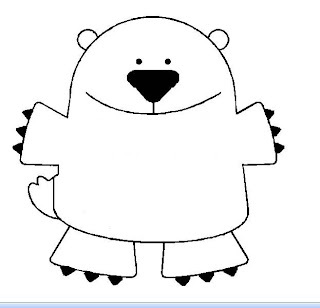 I spent way too much time but I think I finally managed to turn the single font character into a polar bear cut out with Make-the-Cut. I'll post a picture of it later. 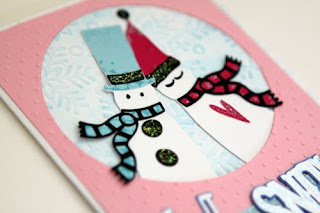 I love the Winter Woodland cartridge and I used it to make this card. 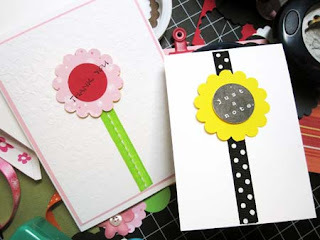 Both backgrounds were embossed with my Sizzix Texture Boutique and the circle window was cut with my Circle Nestabilities. 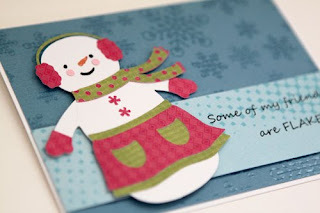 The snowman was cut out from the Snow Friends cartridge and the sentiment was printed off the computer using MS Word. So I chanced upon Michael's paper clearance recently and bought DCWV's Farmer Market Stack for $4. After doing my happy dance, I torn out several papers and got to play. 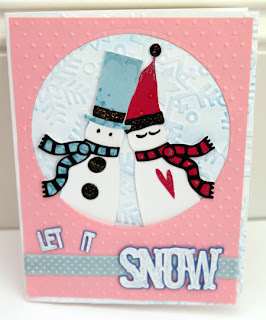 These are two cards that I made with the stack today. 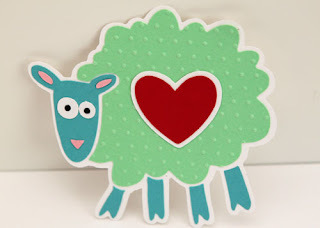 Cricut Design Studio cut file for target mailbox done! I really need to start working on the blank mailboxes that I bought from Target. 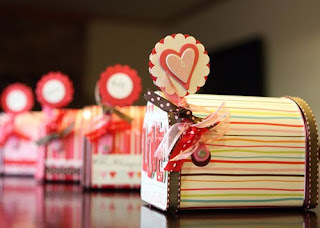 Valentine's Day will be here before I know it and I have to work on 25 of these babies for the 1st graders. I thought I was brilliant when I had the grand idea of using Design Studio to make a cut file for the mailbox. After working on it for 1 hour it dawned upon me that somebody else probably already made one. 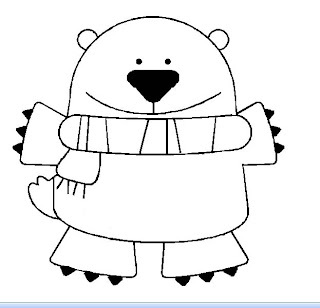 So I did a goggle search and I was right, there was already a cut file made last year! 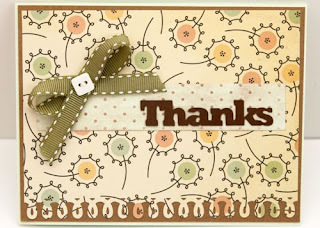 After some begging around, a kind crafter from the Cricut message board sent me the cut file. Unfortunately the dimensions were just a little different from what I wanted so I ended up spending another 2 hours working on my original file. It's finally done. Whew! 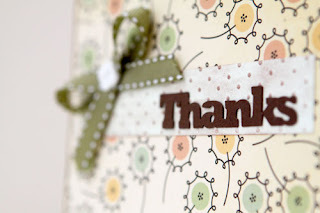 Please note that you will need Cricut Design Studio to open the file. 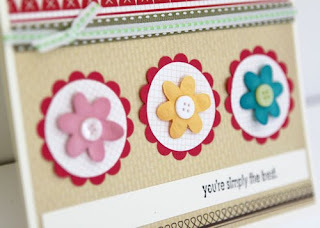 One of my favorite ways of using scraps is to make these 10-min cards. 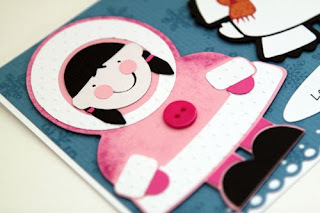 They are super easy to make and always make me feel good whenever I'm in a creative rut. 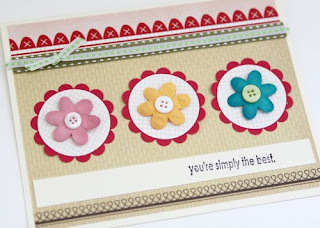 All you need are 2 punches: a scallop and a smaller circle, a strip of leftover ribbon, a sentiment stamp, and a card for the base and you're all set. 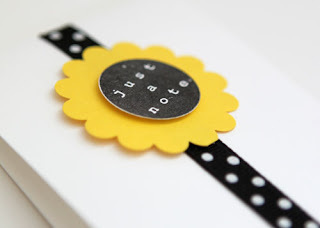 If you feel a little creative, go ahead and do some embossing too. 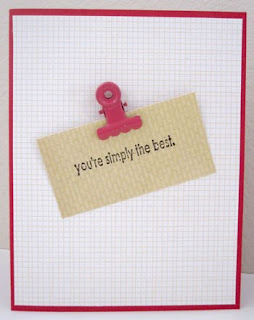 This card was whipped up in 15 mins. 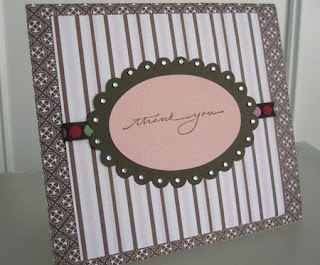 All it took was 2 pieces of pretty patterned paper, a sheet of solid-colored paper, and a frame that I cut out using MTC. I used a Fiskars clear stamp that came in a set that I bought from Tuesday Morning. I scored on some clearance paper at Michael's last week and I love this paper. 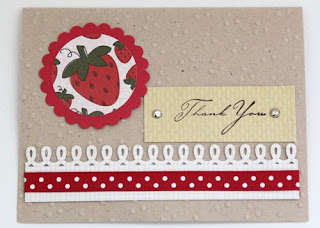 I really wanted to show as much of the paper as possible so I ended up using it as the card front. 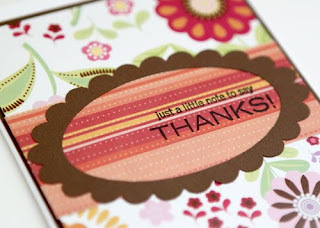 The decorative border was made with Martha Stewart's Loopy Punch and the sentiment was cut with Make-the-Cut. 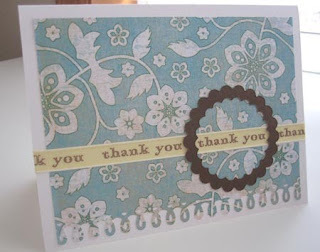 I had so much fun making this card with the Paisley cartridge (again!). 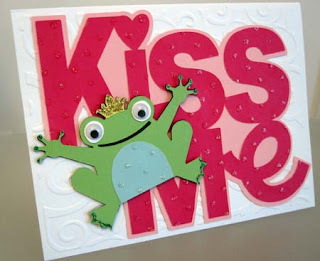 The background was embossed with a swirl pattern and the "Kiss Me" was cut with a pretty glittered paper from Target. I just can't get enough of the Paisley cartridge. 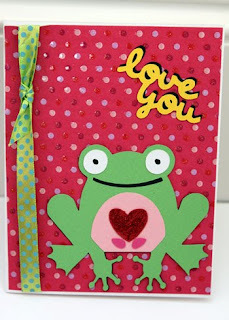 Here is another card made with a frog cut out from that cartridge. 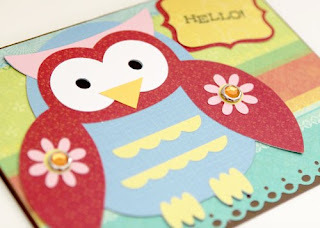 This is the other owl from the Paisley cartridge. This one's all glittered up too. 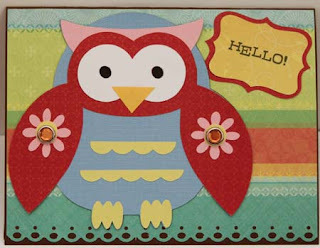 A Hello from the Paisley Owl. 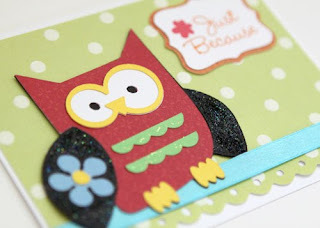 It's funny how a little bling can brighten up a card and bring it to the next level. 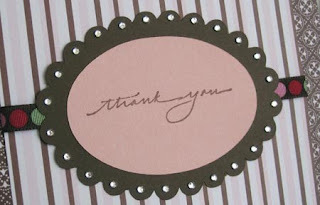 Here the sentiment was highlighted with sticky-backed rhinestones. 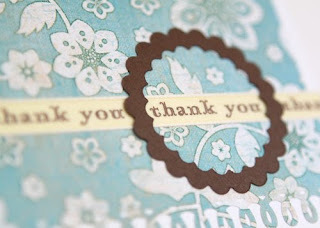 The stamp is by Impress rubber stamps and the oval and scalloped oval layers were cut with Make-the-Cut. 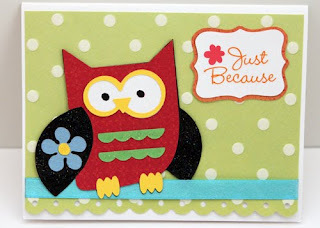 Card background is embossed with Sizzix embossing folder. 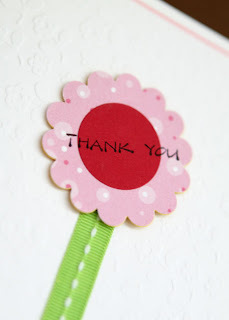 Apply hot glue to button to fix it onto the flower. 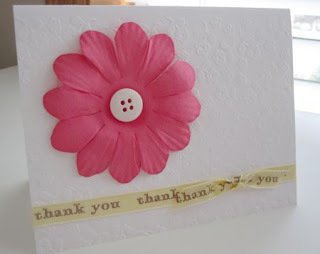 Glue flower to the card. Finish off with a ribbon. 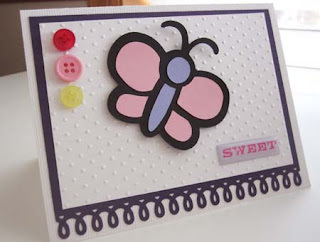 The butterfly was cut with the Hello Kitty Greetings cartridge and Martha Stewart's Loopy border punch was used to make the decorative border. 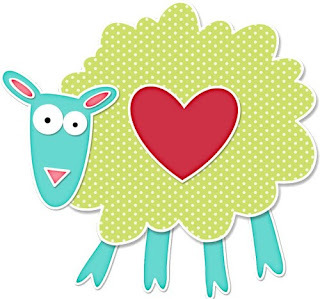 Here is a super easy 10-min card.